I have made this template for those looking to create the pom pom with the circular template. Take the yarn and leave a tail in between your two fingers. Wrap the yarn around those two fingers (not too tight) and stop when reaching a thickness of .5''. Cut the yarn and lift the wrapped yarn up your fingers, now cut a 6''in length of yarn. With the 6''in length of yarn tie it around the wrapped yarn, then remove it off your fingers. *keeping a nice grip. Pull tight. Place your thumb on top of the first knot and tie a second knot. Trim down the yarn ball. I recommend you grab a bowl or a piece of paper where you can dispose of the trimmings. Thread a needle with embroidery floss with a knot at the end of the floss. 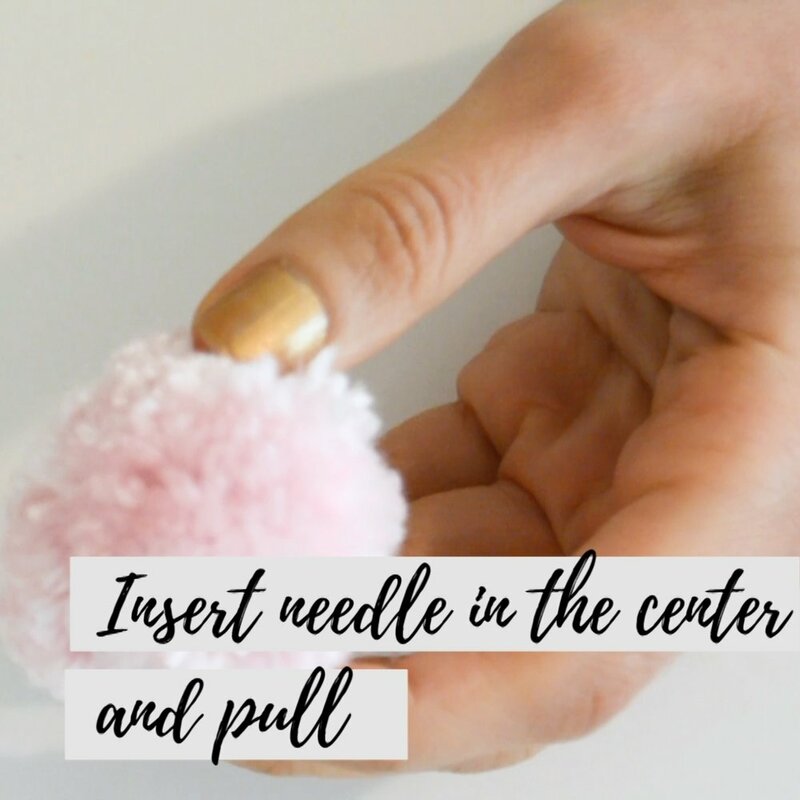 Insert the needle in the center of the pom pom. Grab the chain and insert the needle thru the chain. 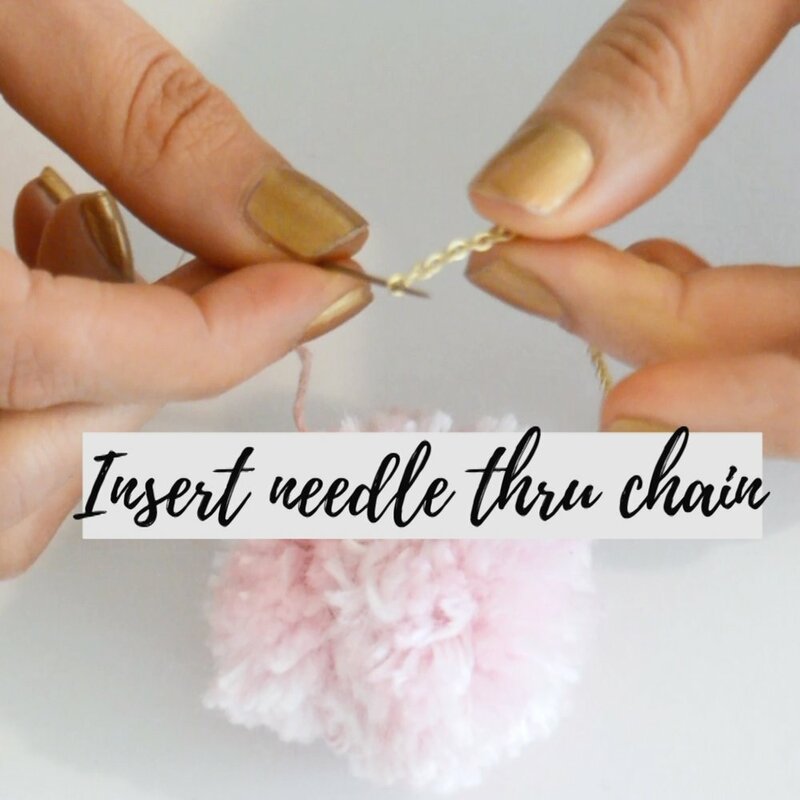 Insert the needle with chain attach it back in the center of the pom pom. Knot in place and cut the chain based on the length you will like the pom pom earring to be. Now grab the earring wire and open it up and place the cable chain inside. Close the opening of the earring wire.